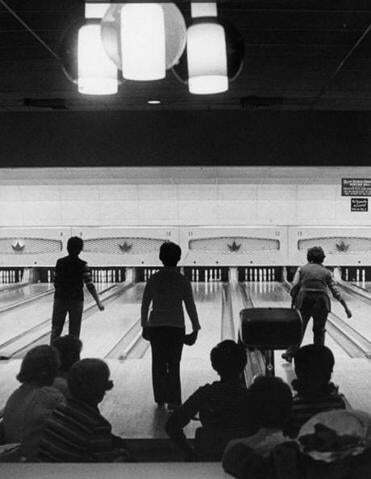 Elizabeth McCracken’s first novel in 18 years, “Bowlaway,’’ is that most improbable of literary phenomena: a buoyant, joyful, rollicking yarn of sadness and loss. McCracken is one of our finest chroniclers of grief: her 2014 short story collection, “Thunderstruck,’’ and her 2008 memoir about having a stillborn baby, “An Exact Replica of a Figment of My Imagination,’’ were incandescent explorations of sorrow and the sorrowful. Intermittent humor mitigated the sting of death and disappointment in both, but in “Bowlaway,’’ wit is primary, exuberant, always abundantly blooming. As one character observes about another, “the merriment was trained on a trellis of sorrow.” The same could be said of McCracken’s novel. A multigenerational family saga with a host of eccentric characters and a quirkily distinctive third-person narrative voice, “Bowlaway’’ opens at the turn of the 20th century in the cemetery of a small town north of Boston with the discovery of “a body . . . above ground and alive.” That body, unconscious and almost frozen to death, bearing a candlepin, a bowling ball, and 15 pounds of gold, belongs to a middle-aged woman named Bertha Truitt. Once she is revived, Bertha’s indomitable strength and enigmatic nature are immediately evident. Rumors abound. Has she fled an abusive marriage? Has she abandoned a child? She has “no recognizable accent, no regional manners . . . When asked about her past, she wave[s] it away.” She captures imaginations and weaves her way into the townspeople’s dreams. They think of her as a succubus, a vampire, a sphinx. But even as Bertha embodies the potential for reinvention, “Bowlaway’’ underscores the impossibility of escaping our family history and the ineluctability of the past. In a turn that scatters like bowling pins the obscure and tenuous framework of the early plot, Bertha herself is dead by page 79, the victim of a freak accident. She leaves a young daughter and a husband overcome by grief. The comedy of magical realism flips to tragedy. These are linguistic gems, little flashes of preciousness lighting up the text. And they give the book a slightly maniacal momentum, as though anything could be reconfigured into material for a funny comparison. Here the style is in keeping with its increasingly runaway plot. Reminiscent of John Irving, with echoes of Dickens (spontaneous combustion! ), “Bowlaway’’ is filled with outcasts and weirdos, mysterious arrivals and unexpected departures, orphans, imposters, contested wills, natural disasters from floods to storms, and quests for missing relatives. With all of this skill and charm, however, “Bowlaway’’ somehow doesn’t move profoundly in the way McCracken’s earlier work does. The early death of Bertha (the novel’s most indelible creation) may be partially responsible, as may be the superabundance of characters, none of whom we get to know well enough to ache for. But if “Bowlaway’’ is never thoroughly engrossing or wrenchingly emotional, it is a tour de force of magnificent sentences, arrestingly strange images, and penetrative observations. Swerving madly in all directions, with a sparkly surface trying to light up its darkness, “Bowlaway’’ is like a train off the tracks: breathtaking as a flash-bulb, breaking new ground, but not reaching any destination.